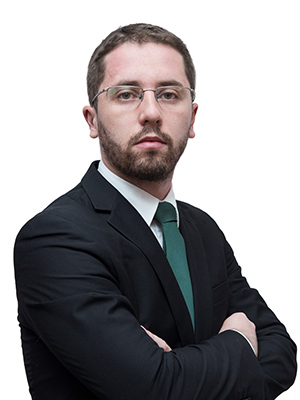 Cristian Radu graduated the Faculty of Law – Univesity of Bucharest in 2013 and subsequently he was admitted in Bucharest Bar. As a junior and also as a senior lawyer, Cristian was involved in a wide range of activities including both consultancy and litigation. representing the above mentioned companies in front of the national courts, related to commercial disputes and also in insolvency procedures. successfully representing an Individual in a claim brought against him, deriving from his capacity as an administrator of a company.